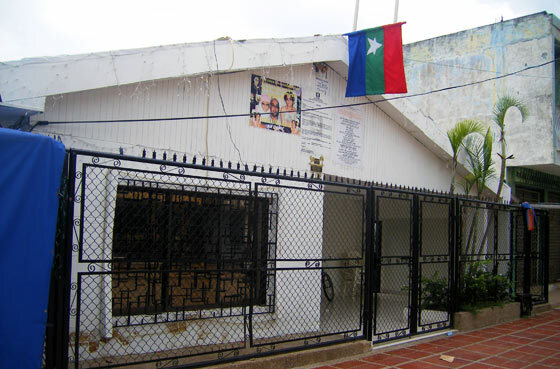 Maicao is a medium size town on the north-eastern border with Venezuela. 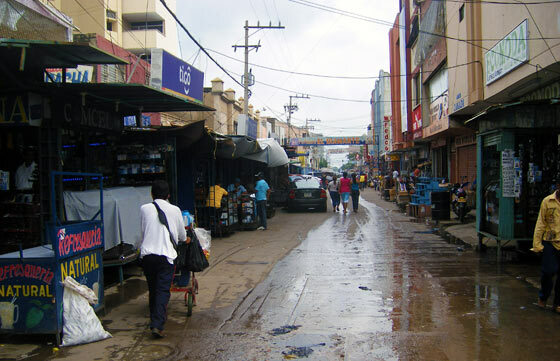 It is a typical border town; ugly, dirty and at times sketchy. Most travellers who come here spend only the time necessary to catch a bus or taxi, either to the border and on into Venezuela, or, coming from the opposite direction, to the picturesque village of Cabo de la vela, or to the city of Santa Marta and beyond. If you do find yourself with a couple of hours to kill here and a few pesos in your pocket, the streets around the central plaza form a street market where you can get hold of all the usual bootleg goods. Here you can also change your pesos into Venezuelan bolivars (or vice versa). Have a good idea of the exchange rate before you approach a moneychanger. Most of the moneychangers will give you an honest rate, but there are always a few unscrupulous chaps you will try try to swindle you. There are plenty of moneychangers in the centre of town so don't be afraid to walk away if this is the case. Aside from the wheeling and dealing there is another worthy attraction in Maicao. The town has a sizeable Arab population and is home to Colombia's biggest mosque (and the biggest in Latin America outside of Brazil and Argentina). Omar Ibn Al-Jattab Mosque looks slightly out of place in Colombia, but attracts a sizeable number of worshippers. 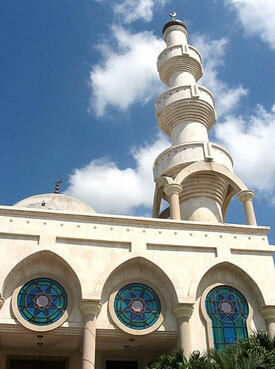 The mosque was built in 1997 and possess a minaret 31m high. Many of the houses in the area fly Palestinian flags. It's also quite common to see political graffiti relating to Israel on walls in the area. 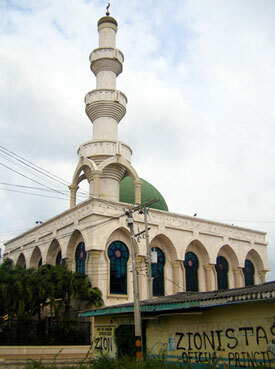 The Omar Ibn Al-Jattab Mosque was built in 1997 and provides a place of worship for the some 2000 muslims living in Maicao. Providing it is open there shouldn't be a problem with having a peek inside. This border crossing can be a bit of a pain, but if you're prepared and keep your wits about you, you shouldn't have any real problems. Mini-buses leave from the bus terminal and drop you at the other side in Venezuela. From there you catch another bus into Venezuela, probably Maracaibo. 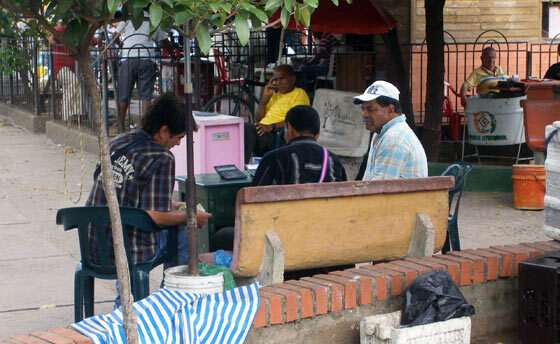 A far smoother option is to get an express bus from Barranquilla or Santa Marta that will stop at the border for you to get your passport stamps and then head straight on to Maracaibo without any fuss. It's much quicker and also safer if you do it this way.